Take part in the most competitive and high profile off-road motorcycle racing championship in the world. 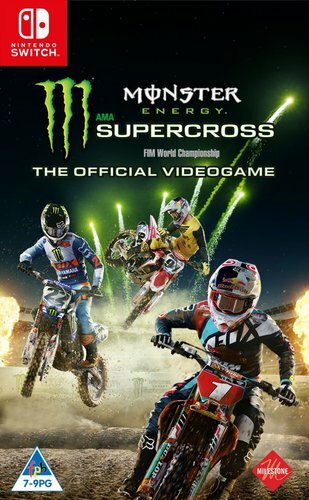 Featuring innovative track design and set within prestigious stadiums, the game is the most realistic and immersive Supercross fan experience ever. Get ready to race with your favorite Supercross athletes on tracks from the 2017 Monster Energy AMA Supercross, an FIM World Championship season, choosing among official riders in both the 250SX and 450SX Classes, including iconic racers like Chad Reed, Ken Roczen and the outgoing champion Ryan Dungey. Online Features: Some features of this game will require an internet connection.